For a newcomer, Mirel Wagner sure sounds like what you'd call an old soul. Despite being just 23 and having written her first songs at 16, Mirel Wagner sounds like what you’d call an old soul. You can hear that in the knowing quality of spare folk tunes that find shades within nuances using only the most rudimentary instruments, the tale told by the nooks and crannies of Wagner’s ancient voice and the resonant tones of her picked notes and strummed chords. And yet, no matter how intimate and elemental Wagner’s approach might be, the Ethiopian-born, Finnish-reared singer-songwriter’s songs are greater than the sum of their parts and what they’re literally about, as she tackles the big-ticket issues of love, life, and death on her self-titled debut. There’s just a beyond-her-years dimension to Wagner’s music, whether you want to describe it as primordial blues or archetypal folk. Certainly, the former genre speaks to the downcast tenor and often grim themes of her offerings, but the pastoral feel to her patient guitar patterns bring to mind the latter, albeit towards the more sinister end of the spectrum. 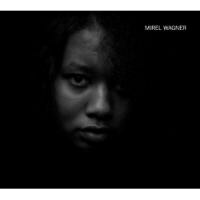 However you want to define it, Mirel Wagner is a harrowing listen that’s not so dark that you can’t find a way in to relate. That’s how a track like the mesmerizing first single “No Death” can somehow portray necrophilia without grossing or creeping you out, framing the macabre subject matter with calm, shimmering tones that gently lift the mood into something sentimental, even sympathetic. Lines like “I’ll keep on loving / Till the marrow dries from her bones” are more graphic on paper than when Wagner sings them with an understated sense of yearning and resigned desire. Gothic rather than goth, the number’s desperate, stirring chorus that “No death can tear us apart” finds the romance in fatalism and tragedy, the vice versa of a worldview that love will tear us apart. Like the intuitive artists she recalls, Wagner’s got a deft touch as a songwriter and performer that belies her youth and relative inexperience. Some of the more piercing numbers on the eponymous album hearken back to early Cat Power, especially when Wagner tells the myth-like struggle between good and evil on “Red”. There, Wagner dances with the devil (“He’s evil, she says / He knows your name / And you’ve played his game”) and finds there are more gray areas than black-and-white absolutes as she seeks redemption only by facing damnation. Likewise, she’s armed herself against nature in its hostile, malicious manifestations with nothing but her steady voice and crisp, plucked notes on “Despair”, which has a vaguely allegorical dimension that could come out of the Leonard Cohen songbook. On the down and dirty “Dream”, Wagner’s got the blues the way PJ Harvey did on Rid of Me, which you can tell on the psychosexual opening lines, “Who is this creature / Crawled into my bed / Into my head?” It’s one instance when Wagner gets to the nitty-gritty, roughing up the normally true, ringing tone of her acoustic guitar as well as smudging up her vocals with some distortion and echo. While Wagner certainly distinguishes herself as a newcomer with a singularly focused vision, the album does verge on being too one-note and could use more moments when she sounds like she’s relieved of the burdens of seeing into and seeing through human nature: At times, you can almost feel the weight of impending doom building up and bearing down on her from one simmering, subtly menacing track to the next. Along those lines, it’s telling that one of the album’s most memorable songs is the innocent childhood vignette “No Hands”, which simply and poignantly describes what it’s like learning to ride a bike. In effect, “No Hands” is of a piece with the White Stripes’ “We’re Going to Be Friends”, an unexpected release valve that helps everything else stand out better in relief. Just because Wagner gives you the idea that she’s wise beyond her years doesn’t mean she’s unaware that she’s got more growing and learning to do, both as a musician and person. So while the album seems to end on a weary and morbid note about “a dead man’s unwedded bride” going gentle into that not-so-good night on the closer “The Road”, it’s tempting to read a more open-ended moral to the story into it: that Wagner’s ready to move on, since, as she puts it, “where the road leads no one knows”. Indeed, it’s no stretch to say that Mirel Wagner is just starting on her way down her own path as an artist, wherever it leads her.